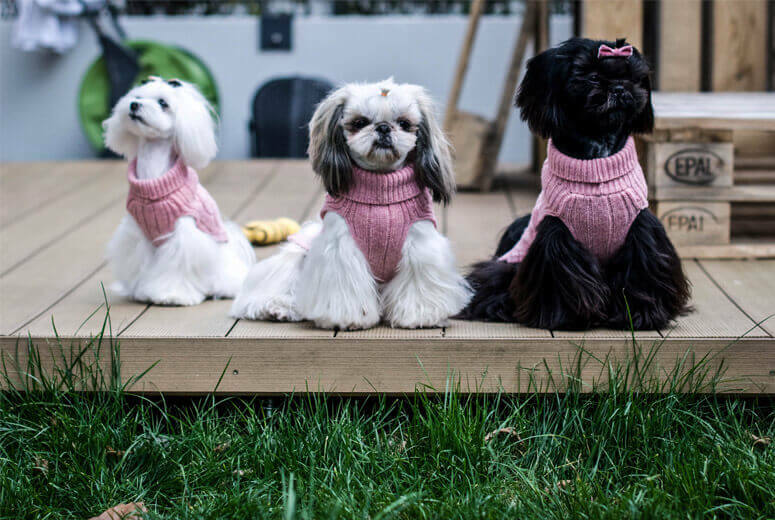 Faced with the dilemma of figuring out whom to entrust with the care of your beloved pet if you must leave him behind for a time, one of your options is to find a dog hotel. At a dog hotel, your dog will be cared for by devoted staff members who will lovingly tend to his needs while you are away. Hotels designed specifically for our four-legged companions have become popular recently. When going for a holiday or business trip, we often face the dilemma. We have to figure out whom to entrust with the care of our pet. If someone from our family or group friends is eager to take care of our pet while we are away, there is no problem. If we do not have anyone like that in our environment, however, dog hotels are there to help. The number of dog hotels worldwide continues to grow, so it shouldn’t be hard to find one near you. In every big city, one can find anywhere from a few, to a dozen or so animal hotels. When deciding on a specific dog hotel, therefore, it’s important to choose one with a good reputation. Make sure that the hotel you choose fits the needs of your dog, so that he will not feel scared or uncomfortable while you’re away. Which hotel is the best choice? The standards of each dog hotel may vary considerably depending on the facility and managing routine. Some places offer dog owners the opportunity to leave their pooch in a prepared kennel for the duration of their absence. In this kind of hotel, the dog stays in its designated space. For the duration of the visit, this spot becomes his small home. The downside to this kind of hotel is that dogs remain separate from one another and can therefore feel lonely. Furthermore, dog hotels that keep dogs in kennels can take many pets at the same time. This might lead to your dog getting less attention from employees than it needs. A hotel that keeps dogs in kennels will not work for extraverted dogs that feel sad and neglected when they are by themselves. On the other hand, however, a place where dogs get lots of time to relax on their own is perfect for dogs that have more introverted personalities. Dogs who value solitude will love a hotel that allows them to hang out in their own space, for a while. Another type of dog hotel is based on an attempt to recreate home-like conditions for every dog. The environment within this type of dog retreat is much more like a holiday resort than a standard hotel. The number of places available is adequately adjusted to suit the comfort of its canine guests. In this style of hotel, the employees care for more than your dog’s basic needs. They actually act as temporary companions for him. They will take your dog for daily walks, play with him, and provide opportunities for him to engage with other dogs staying at the hotel. This type of hotel is perfect for dogs that are extremely attached to their owners and have trouble saying goodbye. 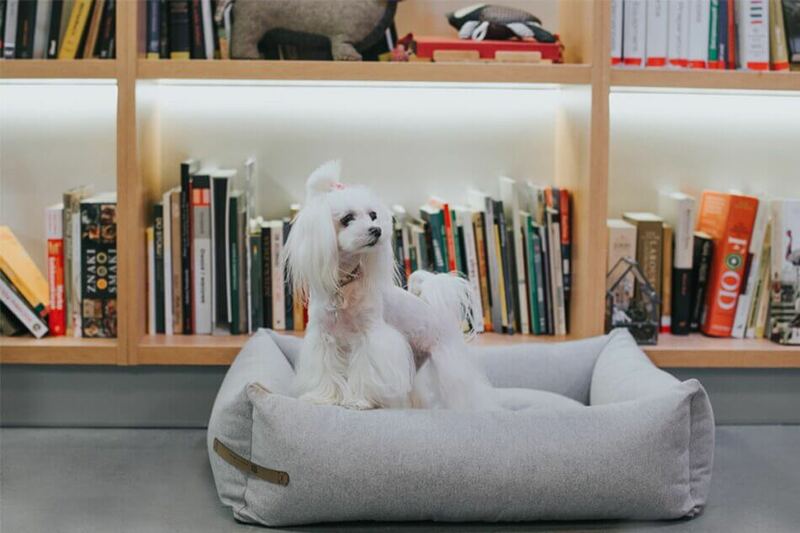 The homely atmosphere inside will ease your dog’s feelings of loneliness while the two of you are apart. Longing for their beloved owners can have a very negative impact on pets’ psyches. For that reason, choosing the right dog hotel is of the utmost importance. Staying in a dog hotel – what’s waiting for your dog inside? All dog hotels should provide 24-hour care for your pet. It is the staff’s responsibility to provide your dog safe and comfortable conditions that satisfy all of his basic needs. In most dog hotels, meals for your pet are included in the price. That being said if your dog is a picky eater and it is likely that he will not enjoy all of the food that is given to him. It is a good idea to send him to the hotel with some food from home. At dog hotels, the way that walks are facilitated varies from place to place. In the majority of standard hotels, walks take place inside the facility on an adapted surface. That being said some hotels, dedicated to more demanding dogs, offer daily walks outside the resort. Hotel staff tries to provide your dog with entertainment and an enjoyable experience while he is waiting for you to come home. To ensure a comfortable stay for your pooch, dog hotels organize individual and group games for him to take part in. Additionally, dog hotels typically also offer a wide range of toys for your beloved companion to play with. How to prepare a dog for your absence? Separation from their beloved caregivers is a very stressful experience for most dogs. Even a temporary change in routine can be very uncomfortable for a dog. 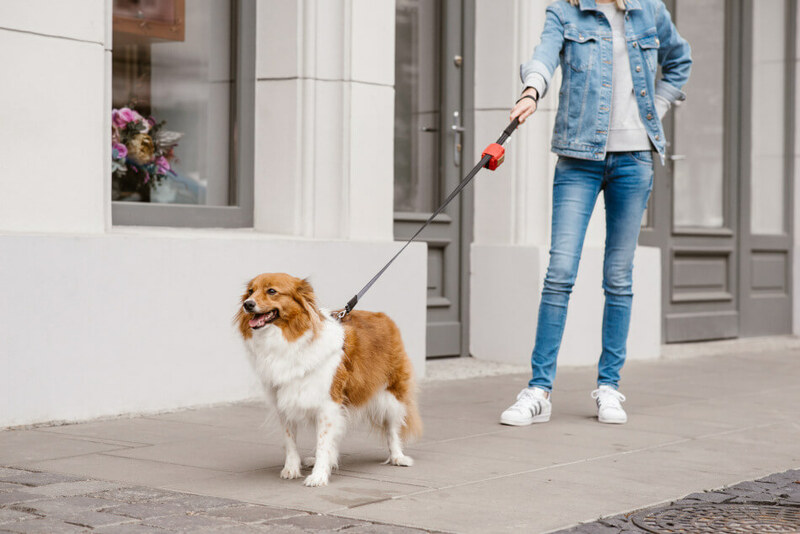 For this reason, preparing your pet in advance for any new experience he may go through, is a great way to help ease his stress in unfamiliar environments. This process is especially helpful if your pooch will be staying in a dog hotel for more than one night. If you have such an opportunity, it’s a very good idea to take your beloved canine companion for an adaptation visit at the dog hotel of your choice. This will help him acclimatize to the new environment, it’s smells, and that staff that he will stay with. Establishing a friendly relationship with temporary caregivers is a very important step. 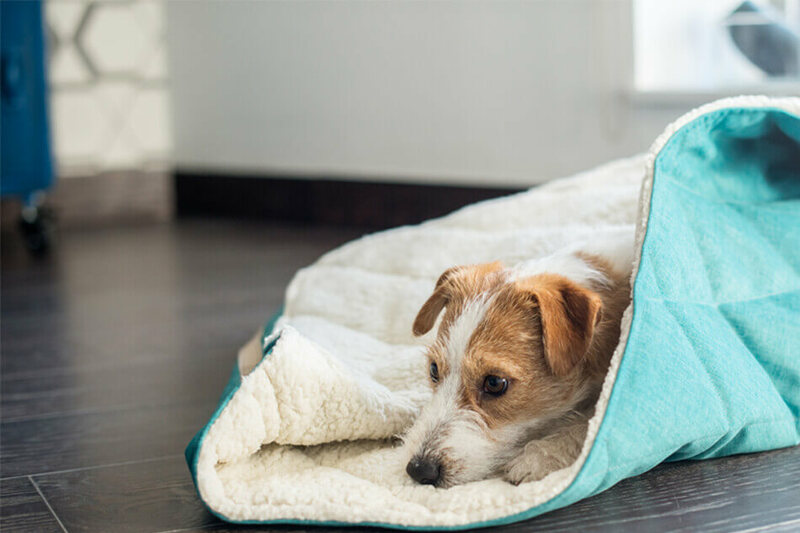 It helps your pup feel safer while staying in an unfamiliar place like a dog hotel. When packing a bag for your dog, make sure to include a few of his favourite items from home. The presence of a familiar dog blanket or toy can provide tremendous comfort to your pup when he is trying to settle in, in a new place. If your dog is deeply attached to you, you can leave him some item of yours like a handkerchief or scarf. In this way, your smell will stay with him for the duration of his hotel stay. This will reduce his feelings of longing and loneliness. For reasons of health and safety, dog hotels do not usually accept animals that are sick. This applies to infectious diseases that other canines might be infected with. Your dog must have documentation from a veterinarian proving that all of his vaccinations are up to date. To safeguard your dog further, make sure to protect him against all external parasites before he visits a hotel. When putting your pet under the care of a dog hotel, pay attention to the reputation of the resort. Look for any available reviews. If possible, talk to the owners of dogs who have already stayed at the hotel. Remember that your dog will miss you very much. Being in uncomfortable conditions can cause him great sadness and depression. Hotels should accept your dog on the basis of a hotel contract. If the resort does not require you to sign any documents or present your dog’s health book, you should reconsider your decision. When leaving your four-legged companion under the care of others, you must be sure that he is in good hands. Separation with your favourite pet is not easy. That said, if help in the form of a dog hotel is unavoidable, make sure that you choose a place where your dog will be as comfortable as possible. Good hotel conditions, and excellent care from staff members, can make the time that you spend away from your beloved pet as stress-free for both of you as possible.